This is the next post in my series discussing prescription drug cases in Phoenix, Arizona. My last article looked at why it is a mistake to think that prescription related offenses are relatively minor charges. In this article I will dive into the subject of whether defendants should accept a diversion program known as “TASC.” As I will be discussing, there are instances in which TASC makes sense for a defendant and there are instances where it does not. Making the right decision as to whether you should enter a program may be crucial to your future. If a Phoenix resident is charged with a prescription related offense like possession of narcotic drugs or possession of dangerous drugs, then they may be offered what is generally known as a TASC, a type of diversion program (legally known as suspended prosecution).To be offered such a program one must typically have been caught with only a small amount of narcotics, must not have been engaged in distributing the narcotics, and must not have a serious criminal record. Diversion typically requires one to agree to comply with a set of requirements, including drug treatment in the form of TASC, over a period of six months to two years. If a defendant successfully completes their requirements and TASC then the charges will be dismissed. Reasons why defendants may wish to enter into a diversion program vary. If one is highly averse to risk then they may want to avoid facing the criminal process. Likewise, one may simply wish to get the matter disposed of in as quickly and efficiently a manner as possible. In addition to saving time and aggravation, accepting a diversion offer with TASC can be cheaper from a financial standpoint. 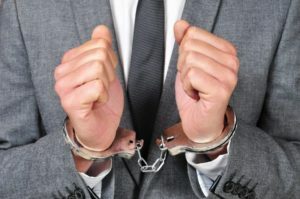 A criminal defense lawyer will charge a higher fee for the lengthy process of disputing a charge as opposed to assisting a client with entering and completing a diversion program. This higher fee would be due to the higher level of work required in disputing a charge. There are certainly benefits which stem from entering into diversion programs after having been charged with a prescription drug offense in Maricopa County, and in no way is this blog meant to urge people to always reject such offers. Those wondering whether such a program is in their best interests, and what such a program would entail, should consult with a lawyer. There is one very important reason why Phoenix residents may wish to dispute prescription drug charges rather than entering in a diversion/TASC program. This reason is that the person may have legitimate defenses to the charges. The broader topic of what to expect of pretrial diversion and TASC will be the subject of an independent future blog series. Needless to say it is important that you speak with an Arizona criminal defense attorney before deciding whether or not to enter such a program. I service all of Phoenix and other Maricopa County cities such as Mesa, Glendale, Scottsdale, Chandler, and Gilbert. We also assist Pima County residents in Tucson.